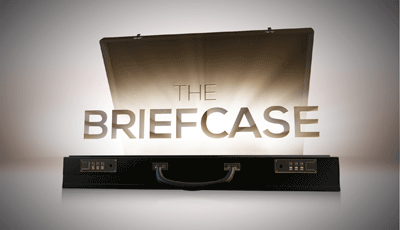 NEW REALITY SERIES “THE BRIEFCASE"
This post is a sponsored post. All opinions are mine. HOW MUCH WOULD YOU SHARE? These days, with the recent recession and many job losses and financial setbacks, most people could use a little extra money to pay bills and expenses. That is what this show is all about. I got a sneak preview of the premiere and I was instantly hooked! It was really interesting learning the life stories of these families and watching them make the tough decision to keep it or share! It was an emotional roller coaster watching it and I loved every moment of it! Each week, two families have 72 hours to learn details about each other’s challenging circumstances and make the weighty decision of what to do with $101,000. However, what they don’t know is that the family with whom they are considering sharing this financial windfall received an identical briefcase with the same instructions. Throughout their journeys, relationships within both families will be tested and beliefs questioned as they find out what really matters most in their lives, and how much importance they place on values such as love, generosity, compassion and faith. After Joe was laid off from his corporate job 10 years ago, he and his wife, Kim, started an ice cream truck business which is struggling. Dave is an American hero whose Humvee exploded when he was in Iraq and he lost his leg. He and his wife, Cara, are expecting their second child this summer. Living on one income with a growing family has put a significant amount of stress on the Bronsons. THE BRIEFCASE is produced by 25/7 Productions and distributed by Sony Pictures Television. Dave Broome (Creator and Executive Producer, THE BIGGEST LOSER) and Faye Stapleton are executive producers. This series is a MUST WATCH and premieres Wednesday, May 27 (8:00-9:00 PM, ET/PT) on the CBS Television Network.